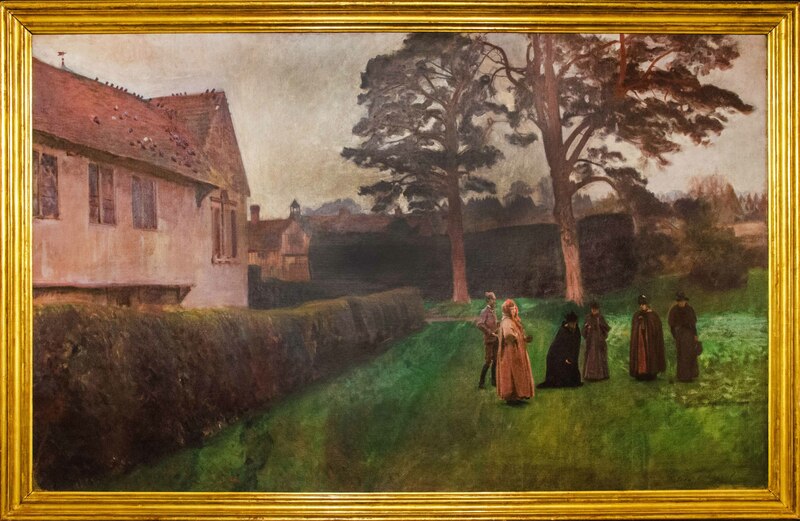 ‘A Game of Bowls’ is a one-off experimental oil painting that captures a view of Ightham Mote as it is today. Painted in a modernist French style, it is considered a move away from John Singer Sargent’s usual style. He visited the house in the late 1880s and produced sketches that were used in the painting of 'A Game of Bowls'. Sargent has created a sense of mystery about the characters. Without the title, we would not know what they were doing, allowing our imaginations to take over. The people playing bowls are General Palmer’s wife and daughter, and their guests, including costumer designer, Alice Comyns Carr, architect Fredrick Jameson and his wife and Sargent’s sister, Violet Sargent.